S size is currently out of stock. A chic traditional waistcoat for every occasion. 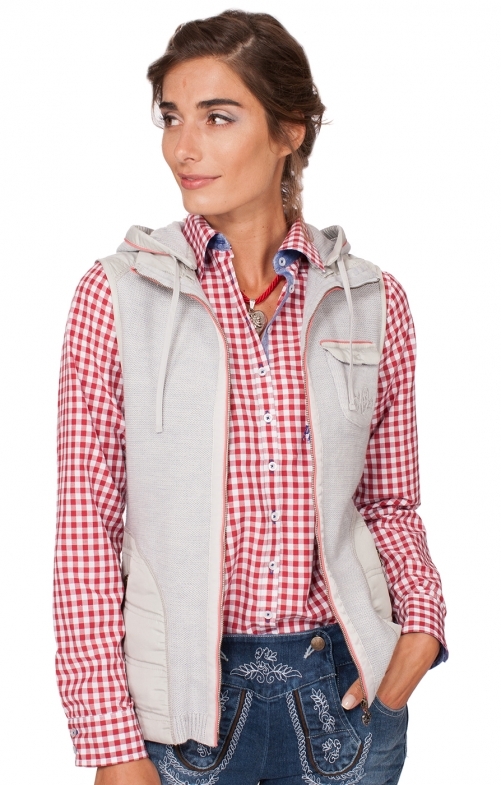 Sporty with a hood and in a new refined mix of materials, this traditional waistcoat not only convinces folk fans but also those who love sport and practicality. The traditional waistcoat in grey-coral keeps your back warm, is simple, wears well and can be easily combined with many sporty bottoms.